Personal injury protection (PIP) insurance is an extension of auto insurance that is mandated in Massachusetts. Often referred to as “no-fault” coverage, it covers medical expenses and some other costs if you or your passengers are injured in an auto accident, regardless of who is at fault in the accident. But is PIP insurance enough? Based on the policy and the extent of coverage, PIP insurance typically covers medical costs and lost wages due to the injuries you and your passengers sustain. In Massachusetts, you are legally required to have a minimum of $8,000 in PIP coverage, minus your deductible. If your deductible is $1,000, for example, you may receive up to $7,000 in reimbursement. Anyone familiar with the high costs of health care can tell you that your actual medical bills may be much higher, and reimbursement for lost wages is included in that cap. PIP insurance coverage can be tricky to understand, and each state’s requirements are different. It can often work in conjunction with your health insurance, covering expenses that exceed your health insurance benefits. To be proactive, talk to your insurance provider about the coverage that works best for you and your individual circumstances. If you have good health insurance, the minimum-required PIP insurance may be fine; if not, higher coverage might be a good bet. If the expenses due to your injury exceed your PIP coverage, you may be able to file a claim against the other driver’s liability, provided they have the proper coverage and were determined to be at fault. If not, and you have claims significantly above what your insurance will cover, your best option may be a personal injury lawsuit. 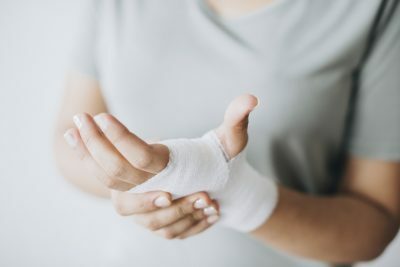 Legal action may let you recover compensation for medical bills, pain and suffering, and lost wages when someone else is at fault for the accident. Personal injury lawsuits have many technicalities and require the attention of an attorney experienced in this field. There are also time limitations within which you can file a personal injury claim, so it’s important to contact an attorney as soon as possible to help you determine if you have a case.